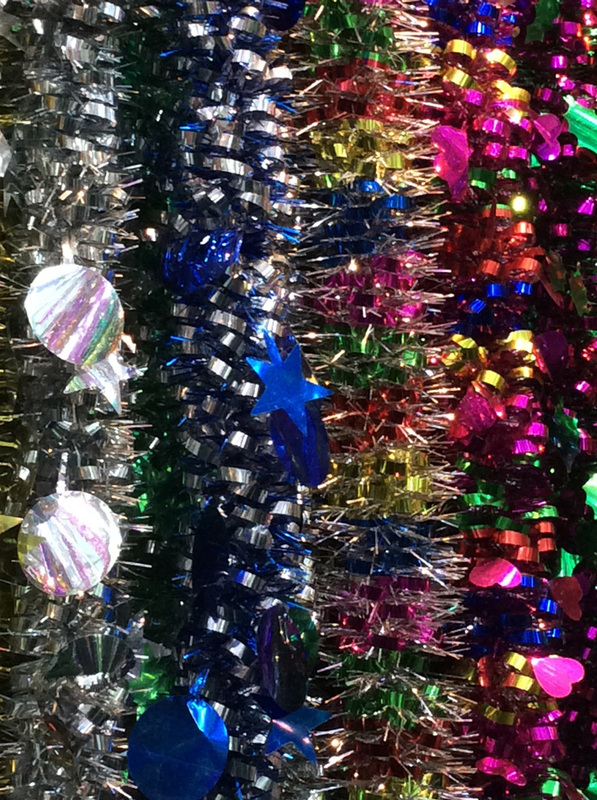 Earlier this year I was lucky enough to go behind the scenes and visited a tinsel factory. If like me you’re drawn to all things bright and shiny you will love these images. 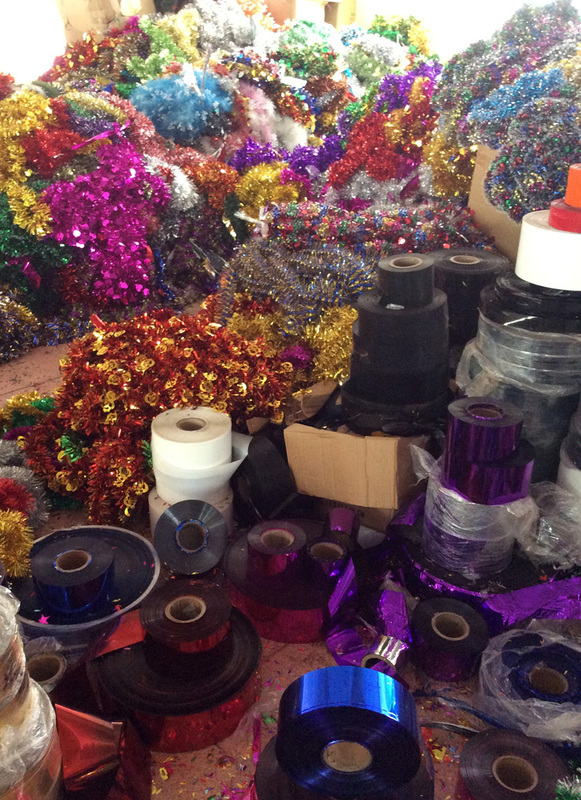 Reels of metallic foil in every imaginable colour are piled high and fed into a machine which shreds them and punches out tinsel. Now the real skill is making something fabulous with the result! This week marks the beginning of the Christmas decorating season so go forth with abandon, it’s officially tinsel time.